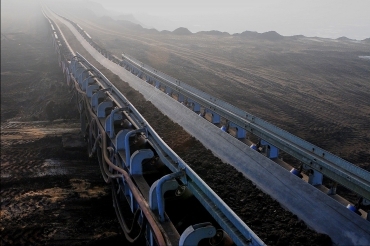 Conveyor belts with steel cords, for general purpose ST, are designed for transportation of loose materials in the conditions with no specific requirements related to the working conditions and the properties of transferred material. They can be used in all industries, including the mining of combustible and non-combustible minerals in the absence of fire hazards. The belts are made of a core consisting of longitudinally arranged zinced steel cords, vulcanized in a special core rubber and rubber covers.